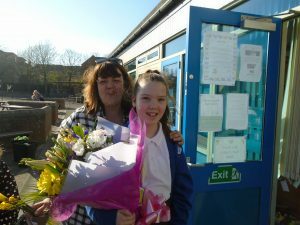 Congratulations to Ava and her mum for their winning entry. The Beacon Lough store chose hers as the winning entry because she had drawn her mum with a beaming smile. 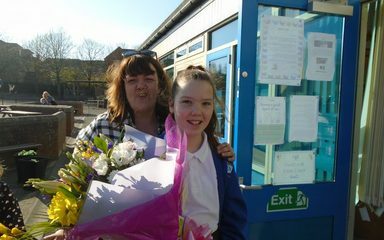 They provided a lovely bouquet for Ava to present to her mum, who did indeed have a beaming smile.